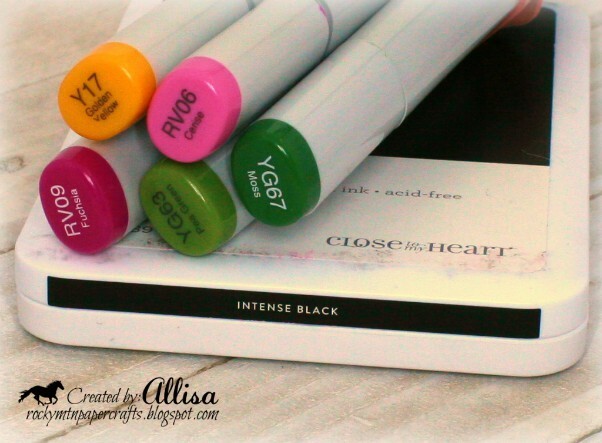 Have you tried the new Intense Black ink by Close To My Heart? I am in love! Honestly, when the ink came out....I was like, the last thing I need is another black ink pad. I finally caved and ordered one to try it out. This ink has now replaced almost all of my black ink pads! (The only other black I still use is my pigment ink for embossing.) The ink is waterproof, non-smearing and fast drying. You can use it with watercolors, pencils and alcohol markers. I highly recommend adding one to your next order! Gorgeous!! I love the bold colors and the use of the embossing folder. I have been wondering about that ink pad. I currently use the momento but I feel like it is a dry pad. I think I will give this a try. Your card and your coloring are both beautiful!!! Gorgeous! 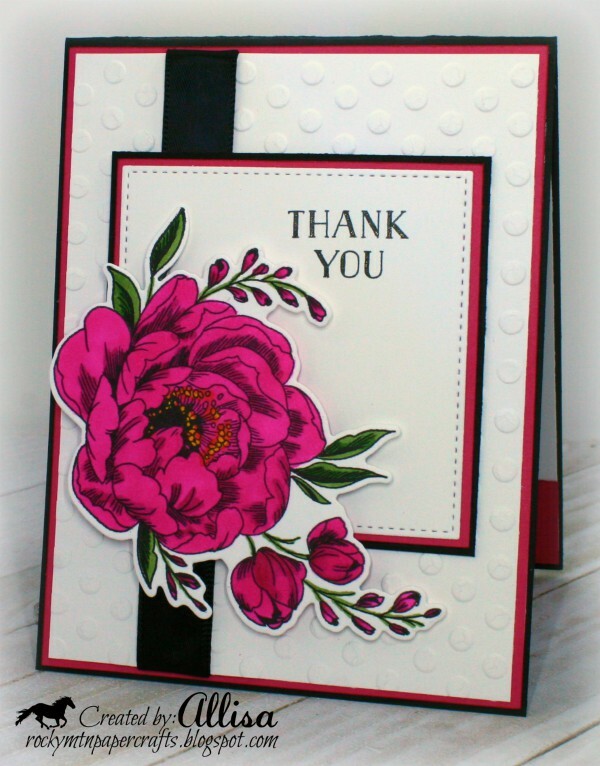 Your coloring and color choices are perfect for this elegant card. Thank you for joining us at Atlantic Heart Sketch Challenge this week. This is so pretty! I love the bold color and your coloring is beautiful! Thanks for joining us at Atlantic Hearts Sketches! Very pretty, I love the colours a lot. I also love the touch of the texture with the embossed background, so pretty it is just adds a bit of elegance to the card, very subtle but great element. Thanks for playing along with Atlantic Hearts Sketch Challenge (AHSC). What a stunning floral! I love the striking effect of the double mats. Just gorgeous! Your card is stunning! I love the bold color of the peony. Thanks for sharing at Cut it Up Challenges.